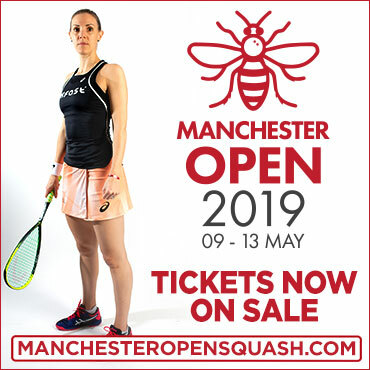 With over 750 registered players and over 200 events taking place across the globe every year, the PSA World Tour showcases the game of squash at its highest level. Overseeing the PSA are the Board of Directors, headed by chairman Ziad Al-Turki alongside Women’s President Jenny Duncalf and Men’s President James Willstrop. Ziad Al-Turki was elected Chairman of the PSA in 2008 and, under his stewardship, the organisation has seen exponential growth. A Saudi-Arabian businessman with a wealth of experience, Al-Turki has helped elevate the sport to new heights. Farag, Egypt’s World No.3 who won his first World Series title at the 2017 U.S. Open, has taken over from England’s former World No.1 James Willstrop as the Men’s President. 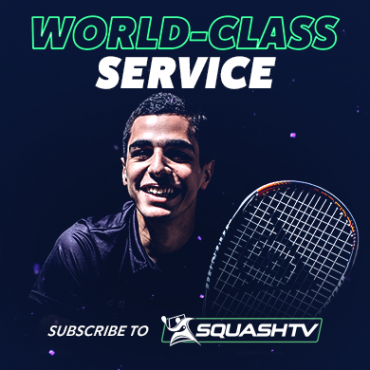 Since graduating from Harvard University with a degree in Mechanical Engineering in 2014, Farag has established himself as one of the most popular players on the PSA World Tour. Duncalf has amassed a number of titles since she first joined the tour in 1999 and is one of the most recognisable faces in the Women's game. A former World No.2, Duncalf also reached the World Championship final in 2011 and claimed a silver medal at the 2010 Commonwealth Games. Willstrop is one of the most technically proficient Englishmen of recent times and was ranked number one in the world during 2012. The Yorkshireman appeared in the 2010 World Championship final and has won 18 PSA World Tour titles in a distinguished career. Nimick has strong expertise in squash, sports and entertainment marketing having forged a successful playing career during the 1980s. Nimick served as a PSA Executive Director between 1994-1999 and has contributed to more than 40 PSA World Tour events over the last 20 years, including PSA World Series tournaments such as the Tournament of Champions and US Open. World Squash Federation Vice-President Pablo Serna is the first person to serve both the WSF and PSA concurrently. The election of Serna, President of the Colombian Squash Federation, illustrates the very close and strong partnership between WSF, the International Federation for squash, and the PSA. Former PSA Tour Director Claudia Schurmann has worked in squash for 15 years and was elected to the PSA board in 2018. She speaks six languages and has a wealth of expertise in management and finance having worked in a range of senior positions around the globe. Claudia was instrumental in relocating the PSA offices from Cardiff to Leeds and worked for the organisation for four years before returning to her native Switzerland. Mike Puertas has been involved in squash in both the UK and USA for 35 years, first as a player and then as a promoter. Puertas has promoted more than 20 PSA events while also working closely with US Squash, advising and helping structure the US Junior Circuit/rankings and initiating the US U23 program.